as a Barnabite priest to God and His people. Without going into all the merits of the long procedural process, we shall only say that the many efforts of the Barnabites were in the end rewarded. The figure of their Founder was enriched both by the precious circles of contemporary and latter witnesses. 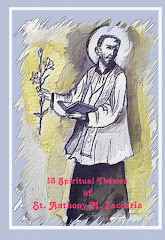 This outcome led His Holiness Leo XIII to beatify Anthony Mary Zaccaria on January 3, 1890, given that the Congregation of Rites had already approved three miracles that were attributed to this future saint. 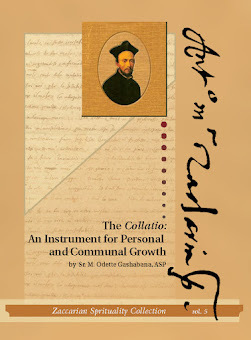 This opened the way to canonization as requested by Father Granniello, who adduced an abundance of canonical arguments. On May 27, 1897, St. Peter’s Basilica housed this great ceremony: under the rays of Bernini were the portraits of two future saints, Anthony Mary Zaccaria and Peter Fourier. The basilica was illuminated by 950 chandeliers, and was filled with faithful. 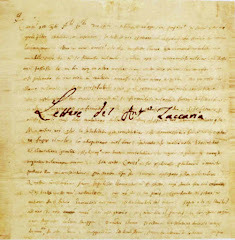 In solemnity, His Holiness Leo XIII pronounced the formal act of canonization and, indeed, the Bull bears the very date of the ceremony. 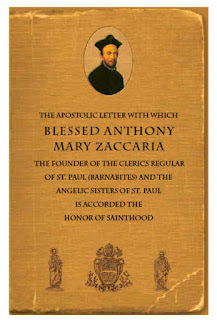 The Barnabites in Italy, particularly those in Cremona where Zaccaria was born, and the entire Church could now begin to venerate our Founder as a saint – we could even say, a great saint – who, on the example of the Apostle Paul, dedicated himself tirelessly to the Church until his death at a young age, leaving a fertile legacy.